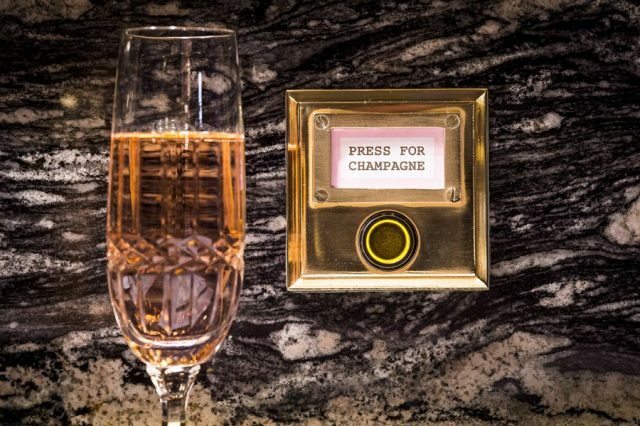 Champagne shipments to the UK fell by 1m bottles in 2018, although the British market for the fine French fizz has “stabilised and rebalanced”. Following the release of official Champagne shipment figures for 2018 at ProWein, db can confirm that the UK market has seen a decline in Champagne imports, but at a lower rate than the previous year. While 2017 witnessed a drop in shipments of more than 11% – taking the UK market down by almost 4 million bottles to 27.8m – last year saw that number drop by 3.6%, or 1m bottles, to total 26.8m for 2018. With the average price of Champagne in the UK retail sector on the rise, and sales by volume slowing at a reduced rate, the British market may be smaller, but it is also more upmarket, according to Andrew Hawes, who is chairman of the UK Champagne Agents Association and managing director of Mentzendorff, the UK importer and distributor for Bollinger. While acknowledging the fact that Champagne sales have dropped in the UK, he also recorded a stable market for sales of relatively expensive branded Champagne, collectively known as les grandes marques, along with the emergence of a stronger sector for ‘grower-Champagnes’ – those produced by vineyard owners using only grapes from their own estate. “It is easy to look at the top-line number and see it as negative for the UK market, but if you look at the trends below that, then there is an interesting story, and I’m taking the positive angle for Champagne in the UK,” he said. He also recorded a marketplace for “the grower side of things”, which is said may be “niche”, but “totally new” and “gathering momentum”. Continuing, he said that such Champagnes had only recently “found their correct route to market, which is via indie specialists and serious restaurants”, observing that their approach is “terroir-driven, almost Burgundian”. As for the slowdown in volume decline in Champagne in the UK, he said that there was a positive story to tell here too, with the market “stabilised and rebalanced”. Such price discounting in UK supermarkets was fuelled by the “sudden stock availability” of Champagne following the economic shock, felt globally, post the Lehmann crash. However, “that cycle has now run its course”, according to Hawes, who said that ‘generic’ Champagne sold at discounted prices was less prevalent in the UK. “Own-label and tertiary brand activity is still there, but there is less of it,” he stated. Looking at the longer term, he said that the strength of Champagne was notable. “If you look at shipments over 40 or 50 years, then Champagne has survived the oil crisis of the 70s, the collapse of the stock market in the 80s, and then the GFC, following by the rise of Prosecco and the rise and fall of Champagne in the supermarkets,” he said. • Shipments of Champagne to the UK have dropped by 7.4m bottles over the past four years, but have fallen by 12.3m bottles from a peak this century of 39.1m in 2007. • Champagne represents 10% of the UK retail market for sparkling wine, but one third of the category by value. • It is important to note that the figures above from Nielsen are primarily a reflection of the performance of Champagne/sparkling wine in the UK supermarkets. Nielsen captures very little of the sales through the UK’s independent wine shops or fine wine merchants, and such numbers do not include the on-trade. As a result, these results do not include an important proportion of the high-value sales of Champagne in the UK.